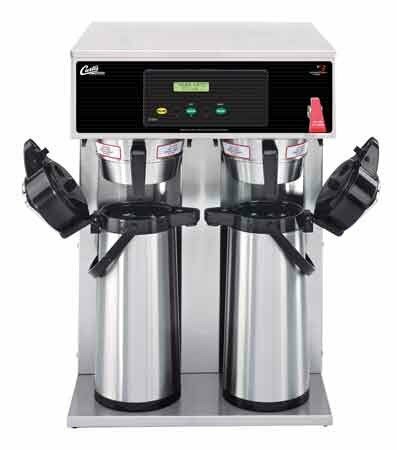 The Curtis D1000GT Twin Airpot Brewer allows for double capacity with the added benefit of two separate brew heads for added flexibility. Decaf and Regular! Light Roasts and Dark Roasts! Columbian and Ethiopian! All residing side-by-side in harmony. Please your customers with ease. Have time left over to play coffee trivia? Milk as an additive to coffee became popular in the 1680's, when a French physician recommended that cafe au lait be used for medicinal purposes. Now you know!